For the first time in the franchise’s thirteen-year history, the hugely popular SpongeBob SquarePants animated TV series has spawned a holiday album. It’s A SpongeBob Christmas! Album is out this month from Nickelodeon Records, offering 12 tracks of original SpongeBob music in tune with the season. The album features vocals and songwriting by voice actor Tom Kenny. Kenny co-wrote ten of the album’s songs with producer/songwriter Andy Paley, and has voiced the character since the show’s inception. SpongeBob SquarePants was recently named “the most loved TV series in America” by USA Today. The new digital album, available from all online music retailers including iTunes and Amazon, will be released to coincide with the new stop-motion animated TV special “It’s a SpongeBob Christmas!” to premiere on CBS November 23 at 9:30 PM ET/PT with an additional showing on Nickelodeon December 9 at 7:30 PM ET/PT. Kenny and Paley wrote the premise for the holiday special inspired by their song “Don’t Be A Jerk, (It’s Christmas).” “It’s a thrill to see our song brought to life by such a team of brilliant animators” says Kenny. “In many ways this is a SpongeBob cast album,” notes producer Paley. “We’ve got terrific vocal performances by Plankton (Mr. Lawrence), Mr. Krabs (Clancy Brown), Sandy Cheeks (Carolyn Lawrence), Patrick Star (Bill Fagerbakke) and Squidward Tentacles (Rodger Bumpass).” Among those who participated in recording sessions for the album was Rock and Roll Hall of Fame inductee James Burton, known as “the most recorded guitar player in pop music,” who has worked with Elvis Presley, Ricky Nelson, The Monkees and many others. Harpist Corky Hale was also involved in the album sessions. In the past, she has accompanied artists ranging from Billie Holiday and Tony Bennett to George Michael and Bjork. Also lending a hand are NRBQ’s “Big” Al Anderson (guitar), rockabilly band leader Russell Scott (bass), “Wrecking Crew” stalwart Nino Tempo (sax), roots rocker Robert “Big Sandy” Williams (vocals) and revered Modern Lover Jonathan Richman (guitar) and Nashville-based chanteuse extraordinaire Mandy Barnett. Also featured is Tommy Morgan whose harmonica can be heard on the Beach Boys’ Pet Sounds and “Good Vibrations” as well as iconic TV show themes for Green Acres, The Rockford Files and Sanford & Son. “I challenge you to find a more eclectic batch of resumes anywhere!” says Kenny of the album’s participating musicians. It’s A SpongeBob Christmas! Album’s repertoire will be brought to life at two very special live performances. 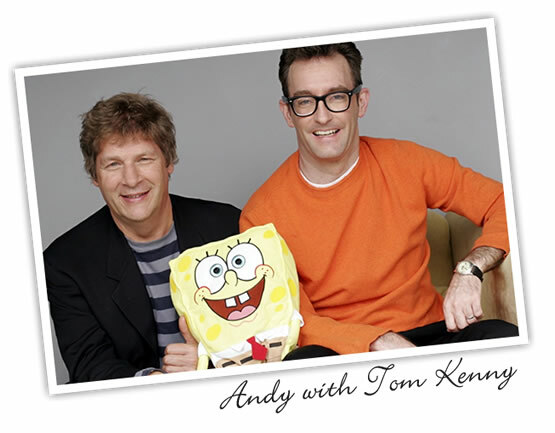 SpongeBob & The Hi –Seas, a band fronted by Tom Kenny with musical director Andy Paley, will appear on Saturday, November 18 at The Grove in Los Angeles and again, on November 24 at The Mall of America in Bloomington, MN. These are both free appearances open to any and all SpongeBob fans who might wish to attend. Pretty Ribbons & Bows – “We took a psychedelic garage rock approach for Patrick’s number, an ode to shiny objects and beautifully-wrapped packages. SpongeBob’s pink pal is aided by Blondie’s Leigh Foxx on bass and the great Jonathan Richman on lead guitar. Christmas Is Mine – “Plankton is our very own Grinch and we set his evil rantings against a sweet Carpenters-esque backdrop for maximum contrast. SpongeBob Square Pants has been the number-one animated program with kids 2-11 for more than 12 consecutive years on Nickelodeon. Over the past several years, it has averaged more than 100 million total viewers across all Nickelodeon networks. USA Today published an analysis in which TV viewership data was merged with Web-traffic data and determined that SpongeBob SquarePants is the nation’s most beloved show based on social media activity, website traffic and actual viewership.